This popular book introduces readers to the operations underlying video production. It provides thorough coverage of the theory readers need to know, balancing complexity with practical how-to information about detailed subjects, and it does so in a concise, conversational style. The authors have incorporated the major changes that have occurred in recent years; further increased the emphasis on digital, non-linear video production; updated and expanded information on mobile technologies; and added more than 25 new or updated figures. 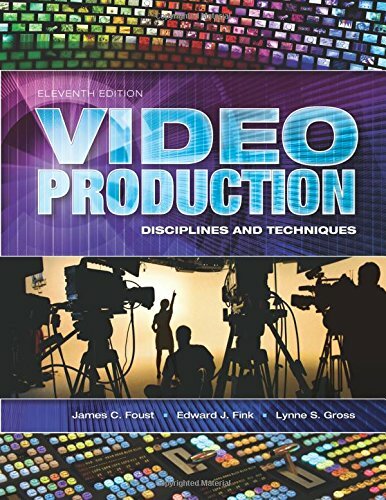 The subtitle remains disciplines and techniques because focus of the book continues to be on the fact that students need those foundations in order to be successful in video production, no matter where they may end up. Its affordable, student-friendly price, companion website, and print book and ebook options add to this book's practical nature. If you have any questions about this product by Brand: Holcomb Hathaway, Publishers, contact us by completing and submitting the form below. If you are looking for a specif part number, please include it with your message.